Hi ya everyone!! 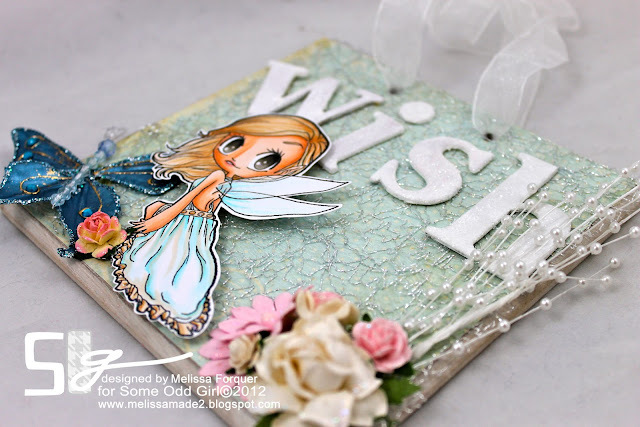 I have been super excited to share this little project with you using the beautiful Nouveau Girl - Wishes. I created this fun and whimsical wall hanging using a plaque I picked up from our local scrap store. I painted it white, roughed the edges up a bit and added some Lindy's Gang Shimmer. I added a piece of blue vintagey paper and then added this FUN silver mesh I received from iCopic. After coloring Wishes, I fussy cut her and set her aside. I had some GREAT mulberry paper flowers from I Am Roses as well as this great big blue butterfly from Recollections. The sprays and ceramic roses with the ribbon centers are from KarlaS001 Etsy shop. I then took some chipboard letters and painted them with primer and then white acrylic paint. While they were wet I covered them in fine glitter! Did you know the Odd Girls often have special projects that we share every week? You should head over and be inspired. Barbara created a FABULOUS ticket holder HERE and Leah C made some fabulous cupcake toppers HERE too! This is so gorgeous Melissa. 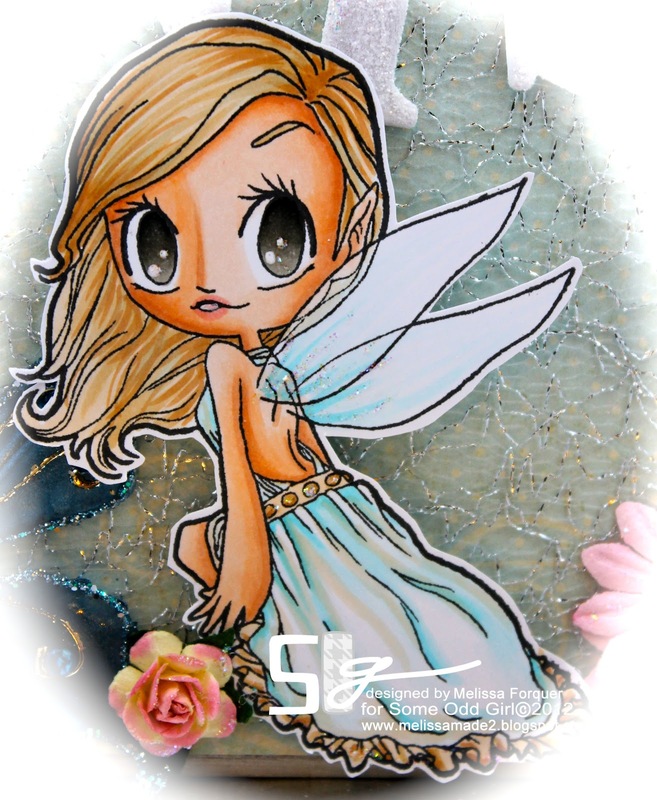 I love that image and the sparkle is so pretty. Wow Melissa this is so amazing! Totally gorgeous! This is really beautiful, Melissa....drop dead gorgeous! Ohhh Myyyy GOOOOOSH!!! This is STUNNNNNNING!!! WOW! OMG!!! WOW!! !